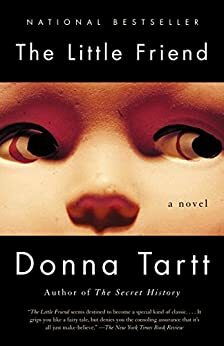 If you like big books and you cannot lie, you’re going to love Donna Tartt. She’s never written a book under 500 pages, she won the Pulitzer Prize in Fiction, and her books will absolutely draw you in. Her novels have been translated into dozens of languages, but if you only read English like me, you’ll still adore her novels. 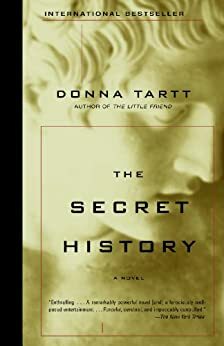 I’m waiting for the Goldfinch movie like crazy, but before it happens, I want to read The Secret History, which sounds amazing. Check out her compete ouevre below. Theo Decker, a 13-year-old New Yorker, miraculously survives an accident that kills his mother. Abandoned by his father, Theo is taken in by the family of a wealthy friend. Bewildered by his strange new home on Park Avenue, disturbed by schoolmates who don’t know how to talk to him, and tormented above all by his longing for his mother, he clings to the one thing that reminds him of her: a small, mysteriously captivating painting that ultimately draws Theo into the underworld of art. As an adult, Theo moves silkily between the drawing rooms of the rich and the dusty labyrinth of an antiques store where he works. He is alienated and in love–and at the center of a narrowing, ever more dangerous circle. The setting is Alexandria, Mississippi, where one Mother’s Day a little boy named Robin Cleve Dufresnes was found hanging from a tree in his parents’ yard. Twelve years later Robin’s murder is still unsolved and his family remains devastated. So it is that Robin’s sister Harriet—unnervingly bright, insufferably determined, and unduly influenced by the fiction of Kipling and Robert Louis Stevenson–sets out to unmask his killer. Aided only by her worshipful friend Hely, Harriet crosses her town’s rigid lines of race and caste and burrows deep into her family’s history of loss. Omg I love her! 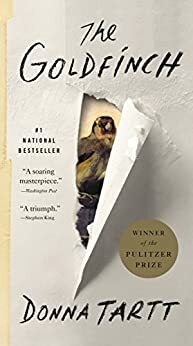 The gold finch is one of my all time favorites.